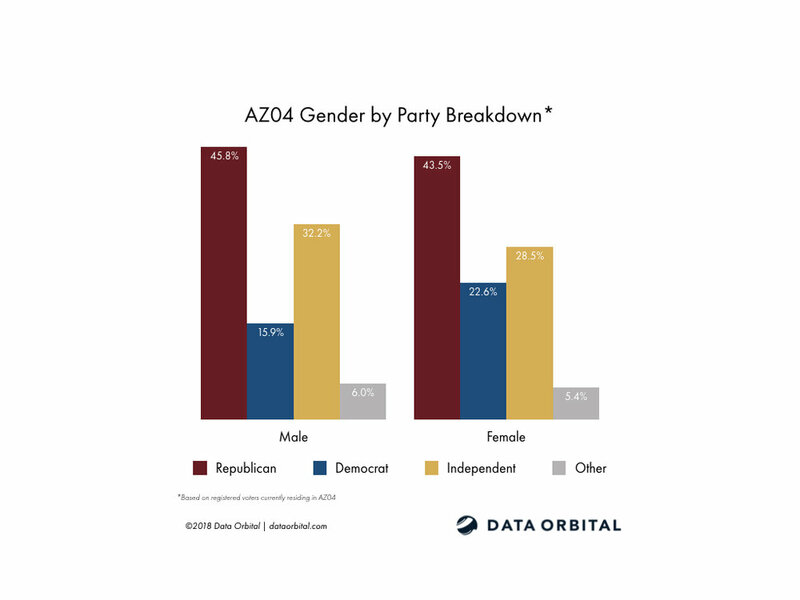 (Phoenix, AZ) With Arizona's fourth congressional district expected to be a race to watch in the upcoming 2018 midterm elections, we are pleased to offer this profile of the registered voters in the district. In how many of the last four elections did registered voters in AZ04 participate? How d0 AZ04 Independents vote in primaries? How did AZ04 vote in key previous elections?